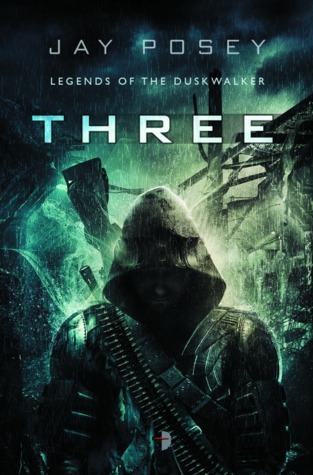 With the release of my second book Morningside Fall coming up (April 29th in the US, 1 May throughout the remaining universe), the Robot Overlords have deemed it appropriate to give away copies of the first book in the series, cleverly titled Three! Sorry that blargh title is a little misleading … there’s actually only one thing potentially for free. But it’s AMAZING and you should TOTALLY try to win it, even if you already have a copy! Or maybe not because hey give someone else a chance! Or do, because you know, one to read and one to keep sealed in plastic and mint condition for later sale when it’s worth literally ones of more dollars! To summarize, do what you want I’m not the boss of you, but while you’re at it pre-order Morningside Fall ! Check it out by clicking on the appropriate clicky place back up there at the top! Like lots of middle-aged dudes in our country, I’m still pretty much a child. A bit tall and beardly for a normal child perhaps, and okay sure I responsibly hold a job and pay a mortgage and am generally handy around the house, and all that sort of thing, but you know … I saw the LEGO movie. And I loved it. There were lots of great moments in the movie for a long-time LEGO lover like myself, but, perhaps oddly, the thing that stands out most for me, the thing that makes me really think fondly of the movie, is Benny the Spaceguy. More specifically, Benny’s cracked space helmet. I’m not sure if Kids These Days picked up on that little detail, or if they did, if they understood it. But for anyone who grew up as I did playing with those early space sets, that helmet crack was a wink from the moviemakers. I’m fairly certain that was no random decision and no carefully focus-tested, marketing-approved character decision born of a corporate desire to sell vintage 80s LEGO Spacemen (though it may have that effect). I had many LEGO sets growing up, and the space sets were always my favorite in those early days, so I had a fair number of little LEGO astronauts, and after so many deep space explorations and hard moon landings and harrowing flights in experimental spacecraft and rough rides in poorly-engineered land rovers, pretty much every single one of them had that same crack in that exact same place. For me, Benny’s cracked helmet wasn’t just a nice touch, it was a beautifully chosen detail that said “We know. We had the same experience that you did.”. I still would’ve enjoyed the movie whether Benny’s helmet had been cracked or not. But the fact that it was took me from feeling like I was watching a movie made for my children to feeling like I was watching a movie made for me. As a creator, it’s always important to try and get the details right. That’s what research is for. But there’s nothing more powerful than going beyond just getting the details right, beyond just showing you’ve done your research. When you get those intimate, experiential moments right, it establishes an almost magical connection to the audience members who’ve been there; it reminds them they’re not alone, that they’re not the only ones who feel that way, or who have been through that. Getting it wrong can have exactly the opposite effect, alienating the people who would be your biggest supporters if only you’d gotten it right. This is part of the power of the old maxim to “write what you know” … creative writers can write just about anything, but when you write from a place of honesty, and write about the things that you know deeply, you infuse your work with the kinds of details that like-minded people recognize and feel embraced by. There might be a point in here. It’s probably just an incomplete thought. But I’ll leave it here in case anyone else wants to think about it too. Sooo it’s that time of year when various people start handing out various awards to various other people, and depending on who you talk to, winning said awards can either make your career or don’t actually matter all that much AND ARE ONLY A POPULARITY CONTEST ANYWAY SO I DON’T CARE THAT I DIDN’T EVEN GET NOMINATED. Personally, it’s always been my dream to be able to deliver a “It was an honor just to be nominated” speech, and YOU might be able to make that happen! One is the John W. Campbell Award for Best New Writer. Another is the Best Debut Novel category for various awards that actually recognize said category. All in all, there are lots of things going on out there; the Hugos, the Nebulas, the BSFAs. 2013 was an amazing year for books, and competition for any of those awards is absolutely fierce. Even just looking at the list of eligible authors from Angry Robot Books, I’m amazed at the level of talent and the quality of work that came out last year. If you’re someone who read THREE and thought it was worthy of note, I’d appreciate any and all support you could throw behind it. Free advice often gets a bad rap, and there’s usually a good reason for it. The whole get-what-you-pay-for thing. But I’ve found that there are actually two kinds of free advice out there. Okay, that’s not true, there are actual several different kinds of free advice, but I’m just going to go with the whole “There are two kinds of …” thing because reasons. The first kind is the also the most common: the personal opinion disguised as advice. It’s the anonymous internet comment person who says your video would be funnier if it had more cats. The guy who’s been sitting on the couch for the last five hours shouting that the defense needs to “GET MORE PHYSICAL!!!”. The helpful emailer who points out how much better your book would have been if only you’d had car chases instead of character growth. In other words, it’s noise from people who don’t actually have any expertise in whatever field it is that they’re commenting on. And usually they’re not even dispensing their sage advice to you for your own good. They’re doing it for their own good. It makes them feel better. There is another kind of free advice, though. It may be rare, but it is precious. It’s the kind you can find from the grizzled vets who’ve Been There. The men and women who’ve actually gone out there and Done It, who’ve suffered the cuts and the slights, who’ve sweated the sweats and bled the bloods and who once in a while, out of the goodness of their own hearts, take a moment to remember what it was like when they were first getting started. And if you’re fortunate, you might remind them of their younger selves, and they might just pull you aside and drop you a choice nugget of wisdom. It might not even make sense to you at the time, not until you hit the situation they warn you is on the way. But if you sit up and pay attention, you just might find that you don’t have to hit all the same roadblocks that everyone else does, or that when you do, you don’t panic and give up like so many that have fallen before you. There’s this nasty rumor out there floating around about publishing that seems to suggest that if you want to get a book published by a Traditional Publisher, you have to get lucky. I’m here to assure you that this rumor is 100% true. If you want to be a Published Author, you have to get lucky. It’s exactly like winning the lottery. It’s kind of like winning the lottery, if the way you won the lottery was by devoting yourself to the study of statistics and risk management and the algorithms that particular lotteries use to generate their numbers, and then maybe developed your own system to model a carefully-selected and targeted lottery, and then you analyzed your costs versus potential payouts, and you took an extra job solely to fund your lottery-playing, and you refined your system through years of playing and further study and talking to experts, and you stuck with it and stayed within your budgeted lottery-funding, and re-invested your minor lottery winnings back into your lottery-funding pool, and played consistently for a decade. And then finally won a reasonable sum that was more or less in line with the amount of work you put in (or maybe somewhat less). Actually, every author who has ever gotten a book deal has had luck on their side to one degree or another; the manuscript hit the right person’s desk at the right time, when the market was doing the right thing, and the publisher happened to have money to spend on acquisition, and so on and so forth. Sometimes great books languish unnoticed for years. There are just far too many variables that are completely outside of the Author’s control. It’s never just luck. Entirely too many not-yet-Published-Authors like to use the luck angle to escape the painful truth that they don’t really want to put the work in. Some folks want to dash off a manuscript over a weekend and then email it directly to a few Big Time Publishers and then sit back and wait for the money to roll in. In other words, they treat it just like the lottery. So yes, if that’s the approach one takes to authorship, then it probably does take quite a bit of Luck to “win”. The fact is, the vast majority of Published Authors have spent years positioning themselves for that kind of luck. In short, they make their own luck. People who were ‘unlucky’ generally didn’t give themselves as many opportunities for success as ‘lucky’ people. It more or less came down to playing the odds. That’s not actually a quote from the study or anything, I just wanted to use WordPress’s neat quote button on something and that seemed like a good place to do it. But being honest, I have to admit that I had met the right people who helped me get my manuscript to the other right people who had to think very hard about the realities of their business and the state of the market at the time and a lot of moving pieces had to line up to make it all happen. Being a man of faith as I am, I of course think of it as Providence rather than Luck. But also, it was a long and difficult road of 10+ years, studying, practicing, learning, failing, getting rejected, weeping, gnashing teeth, dusting off, trying again, etc. etc. I have no idea what the ratio is between the two, but I’m pretty sure it takes some of each. This post doesn’t actually have anything to do with Oxford commas, I just felt like I should put three things in the title for some reason. Also, I prefer to call them video games rather than videogames because I don’t call board games boardgames, but I don’t know what the Accepted Standard is, even though I am a professional Maker of Video Games. Also also, this might be the worst opening to a blargh post in the history of blarghing. Anyway. It probably comes as no surprise that I’ve played a lot of video games in my life. And being that I write them for a living, it’s inevitable that conversations arise from time to time wherein people ask me which ones are my favorite, especially from a story/writing standpoint. What I (almost) never do is tell the truth. Because the truth is a terrible, terrible secret. Which I will share with you, personally, as long as you promise not to tell anyone else. The truth is, my most favorite stories from games are the ones I told myself while I played. Don’t get me wrong, I enjoy a well-told story in games, and there are plenty of them out there. But I can’t think of a story I’ve been told that resonated with me nearly as powerfully as the ones I’ve been allowed to experience on my own. This will sound crazy (probably because it actually IS crazy), but I have exceptionally fond memories of an old Nintendo game called Break Thru. It had a story. At least, according to the back of the box it did. A secret aircraft had been stolen and it was up to me to BREAK THRU the enemy lines and recover it! But that was just the box. What REALLY happened when I played it was far more personal; I wasn’t recovering an aircraft. I wasn’t even starting the game at the beginning of the story. For me, I was playing the last, desperate moments of a daring rescue mission. I was saving a wounded hostage, someone I loved, against all odds. I was there alone because I was the only one who cared enough to even attempt a rescue, and I had to do it without support from anyone else. Just me and my trusty jumping car. The aircraft wasn’t the goal at all, it was just a means of escape … I was stealing it from the enemy, from their own air base, because that was the only shot I had to get Her home safely. That’s probably not a story that would appeal to many people, but for me it was the story. Sid Meier’s Pirates! is another game that stands out; sure there was a framework there, rescuing family members, taking revenge, and so on and so forth, but for the most part, when I was at sea, none of that really mattered. Sometimes I was just a trader, taking goods from one port to another. Sometimes I was a pirate hunter, sworn to defend all ships against the scourge. Sometimes I was a terror to all who dared to sail MY seas. Even fighting games weren’t immune. You have no idea the noble and desperate reasons I fought for in those death pits. The future I hoped to make, if not for myself, at least for others who weren’t as gifted and skilled in the Deadly Arts as I was. I’ll spare you the details because I’m sure they are boring and tedious to you but to me, TO ME, oh the wonderful times I had! Sometimes as a ninja in Tenchu: Stealth Assassins, I would spend an hour or more sneaking around, silently killing every guard in the compound. Except for one. Why? Because someone had to live to carry forth the message of what becomes of evil men who prey on the weak and helpless, of course. And that, to me, is the true and still mostly-untapped, mostly-misunderstood power of video games; their ability to create worlds and then leave room for players to create their own unique experiences. They aren’t books. They aren’t movies. They’re something else. Which kind of makes it awkward for me as a game writer. Because sometimes I’m writing stories and spending the whole time thinking that instead of this cutscene our cinematics director is super excited about with the explosions and the glass flying everywhere and all the porpoises, maybe what we really ought to be doing is focusing on creating coherent context, and then making sure players have enough meaningful actions in that world to make the kind of difference they want to make. Leaving motivation up to the player, instead of up to me, as it were. Fortunately, there are a lot of exciting things going on in the indie game space exploring these kinds of things; Cart Life, Papers, Please!, and several others that I haven’t played yet but I’m totally meaning to play and you should check them out because they are totally awesome experiences, as all of my smarter game-writer friends have told me. And to be fair, Telltale’s The Walking Dead still is a favorite of mine because even though it’s not my story, I am responsible and accountable for the decisions I make. The character’s motives are my motives, and I get to help define the kind of person Lee is. If this were an essay or an article or something, this is where I’d put a tidy closing statement that really brought everything together, and I’d put a nice, neat bow on it. Sadly, this is just my blargh, so this is all you get.